How to calculate the surface area of a sphere? This surface area calculator helps you find the area of the most common three-dimensional solids. If you ever wondered how to find surface area or what is the lateral surface area, this calculator is here to help you. In this article, you can find the formulas for surface area of a sphere, cube, cylinder, cone, pyramid and rectangular/triangular prism. We will also explain how to calculate the surface area of a sphere as an example. 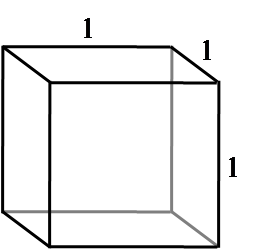 Surface area is a total area that the surface of the object occupies. In other words, it's the total area of the surface of a 3D object. Sometimes the surface area may be split into a sum of base area(s) and lateral surface area. The lateral surface is the area of all the sides of the object, excluding the area of its base and top. This division is used for shapes which have an obvious distinction between base and the other part - e.g., for a cylinder, cone, a pyramid or a triangular prism. It's rarely applied for solids for which we are not sure which faces should be treated as bases (like in a cube or box), and it's not used for smooth surfaces such as a sphere. Our surface area calculator can find the surface area of seven different solids. The formula depends on the type of the solid. 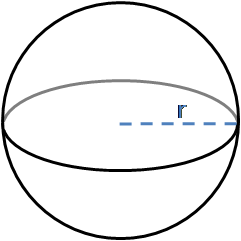 Surface area of a sphere: A = 4πr², where r stands for the radius of the sphere. 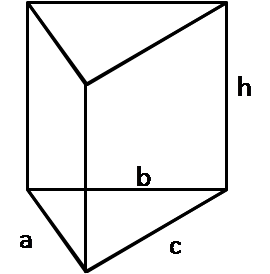 Surface area of a cube: A = 6a², where a is the side length. 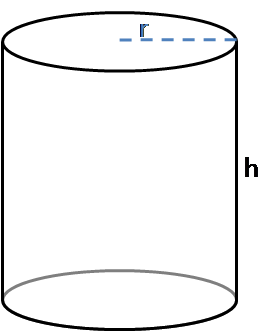 Surface area of a cylinder: A = 2πr² + 2πrh, where r is the radius and h is the height of the cylinder. 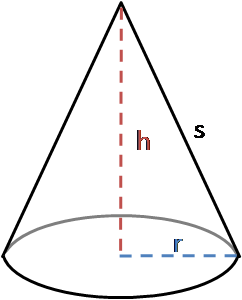 Surface area of a cone: A = πr² + πr√(r² + h²), where r is the radius and h is the height of the cone. 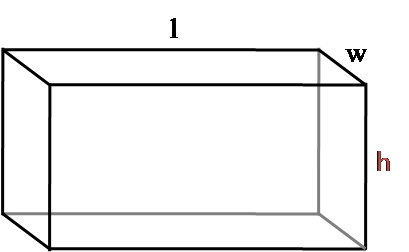 Surface area of a rectangular prism (box): A = 2(ab + bc + ac), where a, b and c are the lengths of three sides of the cuboid. 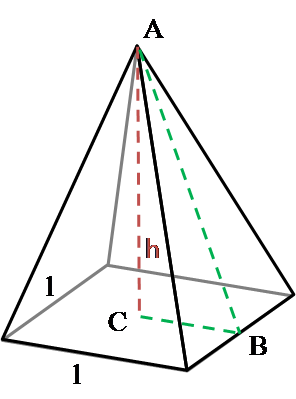 Surface area of a triangular prism: A = 0.5 * √((a + b + c) * (-a + b + c) * (a - b + c) * (a + b - c)) + h * (a + b + c), where a, b and c are the lengths of three sides of the triangular prism base and h is a height (length) of the prism. Surface area of a pyramid: A = l * √(l² + 4 * h²) + l², where l is a side length of the square base and h is a height of a pyramid. But where do those formulas come from? How to find the surface area of the basic 3D shapes? Keep reading and you'll find out! To calculate the surface area of a sphere, all you need to know is a sphere radius - or its diameter. The derivation of this surface area formula requires integration. If you're curious, check out this proof. To find out what's the surface area of a cylinder, you should have two values given: radius (or diameter) of a base and the height of the cylinder. The general equation is as usual - base area times height. In our case, a circle is a base. It's easy to find a base area - we remember the well-known formula for the area of a circle: A(base) = π * r². But what's the shape of the lateral surface area? Try to imagine that we "unfold" it. Do you recognize it? It's a rectangle! One side length is a cylinder height and second one is the unfolded circle circumference. A = A(lateral) + A(base), as we have only one base, in contrast to a cylinder. Roll the lateral surface out flat. It's a circular sector, which is the part of a circle with radius s (s is the slant height of the cone). For the circle with radius s, the circumference is equal to 2 * π * s. The arc length of the sector is equal to 2 * π * r.
A = π * r * √(r² + h²) + π * r² given r and h.
A pyramid is a 3D solid with a polygonal base and triangular lateral faces. When you hear a pyramid, it's usually assumed to be a regular square pyramid. Regular means that it has a regular polygon base and is a right pyramid (apex directly above the centroid of its base) and square - that it has this shape as a base. That's the option which we used as a pyramid in this surface area calculator. Then, find the area of a triangular base. You can do it in many ways, depending on what's given. In our calculator, we've implemented the calculation on the basis of the Heron's formula - it's used when you have three triangle sides given(SSS). You can calculate the surface of any solid, for example, your body - it doesn't need to be the simple shape from geometry! If you're curious what's the external surface area of a human body, check out this body surface area calculator. Determine the radius of the sphere. We can assume a radius of 10 cm. Input this value into the formula A = 4πr². Calculate the result: A = 4π * 10² = 1256 cm². 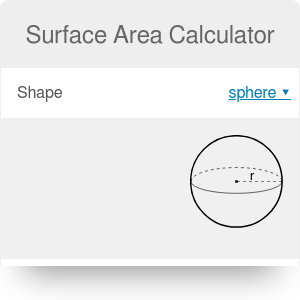 You can also use this surface area calculator to find the radius of the sphere, knowing its area. The units of surface area are always square units of length. For example, you can express it in cm², in², ft², m², but also in acres and hectares. If you want to find the volume of any of these solids, use our volume calculator to do it. Surface Area Calculator can be embedded on your website to enrich the content you wrote and make it easier for your visitors to understand your message.